Have you seen this show on Science Channel? I love it. Each episode profiles a savant or genius whose mind works in a different way. They each have an extraordinary ability in areas such as art, music and mathematics, while also suffering from intellectual and developmental disabilities. Some have autism or Asperger’s. Talk about twice exceptional! 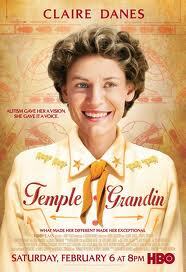 The episode I watched last night was about Temple Grandin. They used a lot of clips from the HBO movie with Claire Danes. I had a very emotional reaction to that movie, recognizing some of the same traits in Lily. Not that she is even on the autism spectrum, but I recognized Lily’s sensory sensitivities, her anxiety in new situations, her visual perception and memory. And, of course, I could definitely relate to her mother’s challenges.